Holmes Garage Door Company® offers a complete line of top quality garage doors including traditional raised panel doors, carriage house style doors and contemporary styles. With thousands of garage door designs to choose from, Holmes is Making it Easy to find and purchase the right door for your style! Shop our traditional style, steel raised panel and flush garage doors. These garage doors are available in multiple design and insulation options to ensure you will find the right door to fit your need. 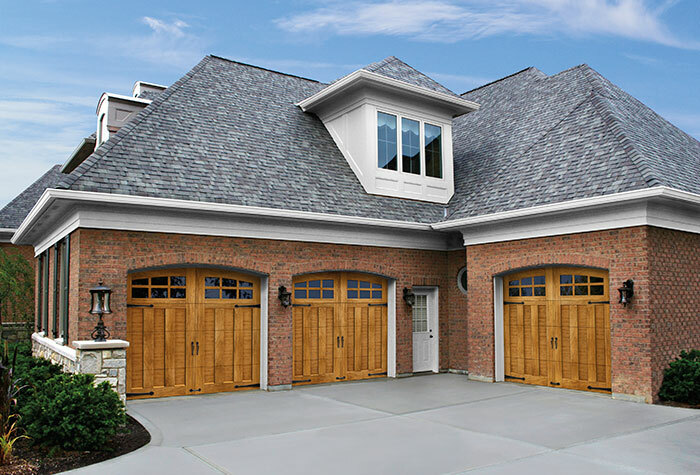 Shop our carriage house and contemporary style garage doors that are beautifully designed to showcase a home in the best light. Select from steel, faux wood, handcrafted wood or glass/aluminum options. Shop our Commercial sectional and roll-up doors for almost any commercial application such as post frame buildings, storage sheds, oversize garages, and commercial buildings. Holmes Garage Door Company® is dedicated to the retail marketplace. We provide specialized displays and literature along with a customizable assortment of programs and products. 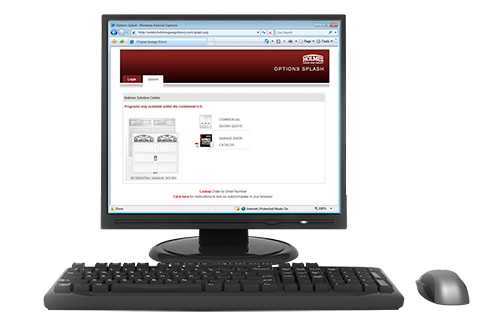 Holmes is Making it Easy for retailers to select the right garage door for their customer’s application with our state-of-the-art merchandising materials and configurator tool. Introducing Holmes Garage Door’s new Ultra-Grain® finish in Slate. It combines shades of Charcoal, Black and Khaki tones to create a very distinct, transitional color. It complements both modern home styles as well as traditional and cottage home styles. It’s available on Artistry® Collection, Glenmoor™ Collection and Contemporary Collection Steel Series. Garage doors featuring Intellicore® insulation technology represent the ultimate smart choice for homeowners. 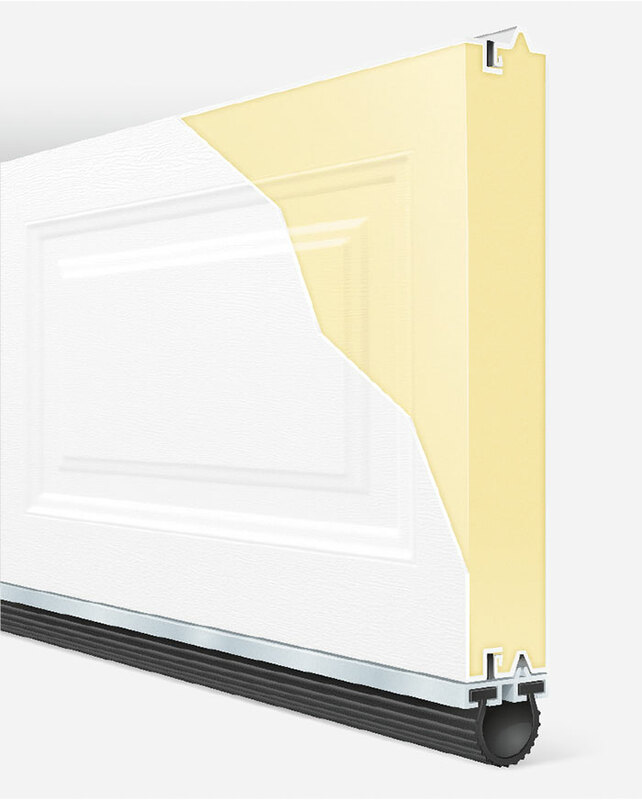 Intellicore® by Holmes Garage Door Company® is a proprietary polyurethane foam that is injected into a garage door, expanding to fill the entire structure. The result is a door with incredible strength and durability. Its dense insulation also produces a quieter door, while its industry-leading R-values (up to 20.4) provide year-round comfort and improved energy efficiency. Glenmoor™ Collection Ultra-Grain® Series is an attractive and more economical alternative to the Glenmoor™ Collection Limited Edition Series. This door features our 2″ Intellicore® insulated steel base door with Ultra-Grain®, our durable, natural-looking, woodgrain paint finish. Stained Clear Cypress composite overlays are applied to the steel door surface to create beautiful carriage house designs. 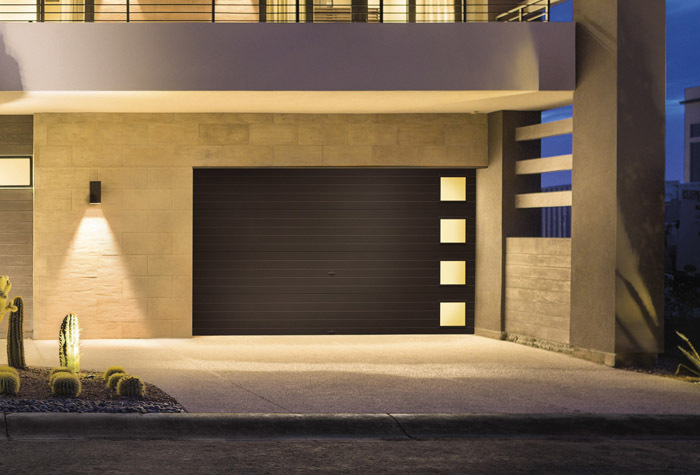 Contemporary Collection Steel Series garage doors complement contemporary and mid-century modern home styles. Doors are available with or without windows and with or without grooves.